Mariner Accident is a unique RPG adventure game from Maksim Archak. You are the soldier serving at secret science facility located in the Mariner valley on Mars. Suddenly things goes terribly wrong, all personal becomes totally insane and all genetic hybrids break free. Survive as long as you can and destroy as much enemies as you can. Kill enemies and collect loot or perks. Influence weapon power, your health, position, time speed and other parameters. Grab perks and level-up your weapons. If you get stuck in the game, check out the video walkthrough and gameplay for the game. 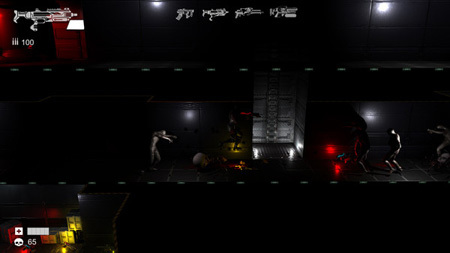 This entry was posted in PC Games, Walkthrough and tagged Mariner Accident Cheats, Mariner Accident Game, Mariner Accident Gameplay, Mariner Accident Guide, Mariner Accident Hints, Mariner Accident Review, Mariner Accident Solutions, Mariner Accident Strategy, Mariner Accident Tips, Mariner Accident Walkthrough by Marvin. Bookmark the permalink.